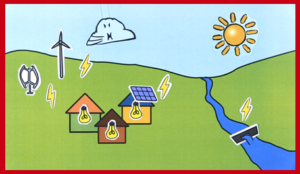 Distributed energy systems can be divided into mini-grid and stand alone systems. 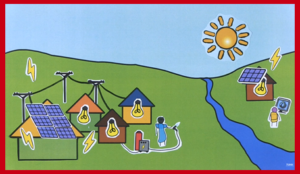 Click on the purple hotspots to learn more about distributed renewable energy supply for rural areas. If you need more information, have a look at the literature review on this topic or the other material in the Toolbox. 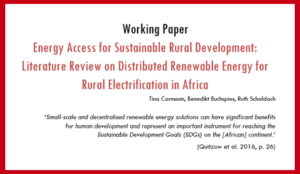 Distributed Renewable Energy Supply for Rural Areas by Tina Carmesin and Ruth Schaldach is licensed under a Creative Commons Attribution-ShareAlike 4.0 International License. If you want to design a managed aquifer recharge (MAR) system, an understanding of the geological background at your site is necessary. Aquifers consist of different rock and sedimentary layers. The type and characteristics of these layers determine whether and how much water can infiltrate. A high porosity and permeability is helpful for aquifer recharge, but not all layers have the wanted properties. 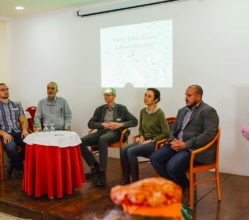 Moreover, the geological history varies from region to region, therefore it is helpful to include a local geologist into the planning process of a MAR. The following slides provide you with a basic geological understanding on rock types and their important properties: porosity and permeability. 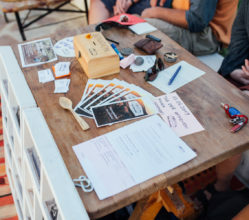 A quiz is included to let you check on your gained knowledge. Geological Background for MAR Systems by Marwin Krull and Birthe Kristina Hohm is licensed under a Creative Commons Attribution-ShareAlike 4.0 International License. 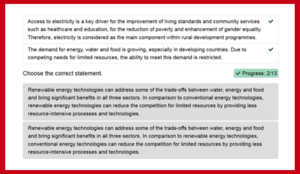 How well do you know about electricity supply and rural energy systems? Test your knowledge in the quiz below! You can return to the Quiz at any time, in case you are not feeling like an expert yet. All answers to the quiz questions can be found within the Toolbox element, so make sure to check out the rest of the material for more information! 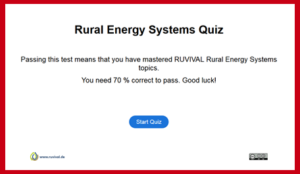 Rural Energy Systems Quiz by Tina Carmesin and Ruth Schaldach is licensed under a Creative Commons Attribution-ShareAlike 4.0 International License. Did you know that smallholder farmers produce as much as 70 % of the world’s food? What is more, organic agriculture is developing rapidly and the share of agricultural land and farms continues to grow in many countries. What are the characteristics of small organic farms and why are their important for sustainable development? Click through the hotspots to find out! 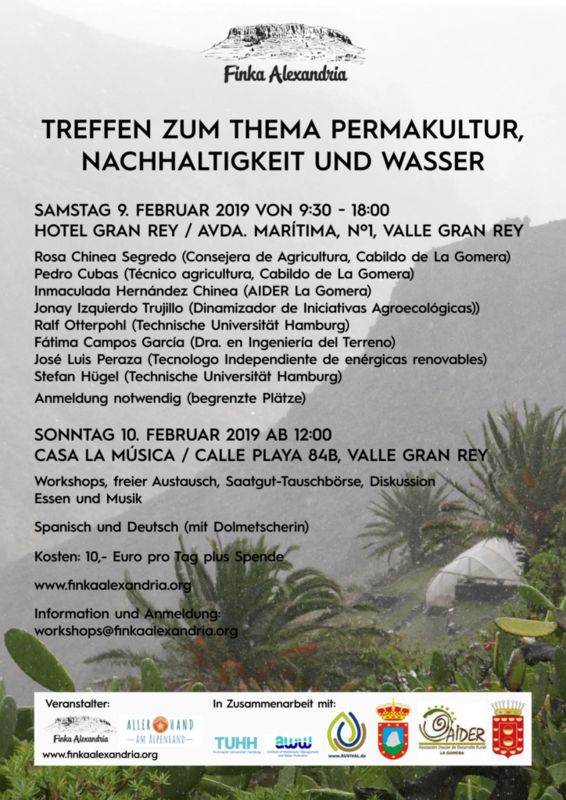 Synergies on Small Organic Farms by Wilhelm Lotze is licensed under a Creative Commons Attribution-ShareAlike 4.0 International License. 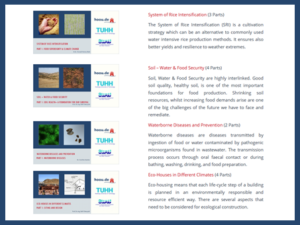 SRI stands for System of Rice Intensification. Although not a new technique, many questions about SRI remain unresolved. Its proponents and critics still debate the proclaimed SRI benefits. By August 2018, more than 800 scientific papers on SRI have been published, discussing this concept. Below you will find some facts and misconceptions about SRI. Try to guess which ones are true and which not. You can always learn more about this topic in our Interactive Lecture on SRI. Facts and Misconceptions about SRI by Julia Stümpel and Banu Sengül is licensed under a Creative Commons Attribution-ShareAlike 4.0 International License. Organic food production has been a rising trend in the last decades, but how well do you know what it stands for? Test your knowledge in the quiz below! Small Organic Farms quiz by Dario Fröndhoff is licensed under a Creative Commons Attribution-ShareAlike 4.0 International License. Toilet etiquette refers to toilet and hygiene culture and manners, which naturally vary across cultures. Beyond these cultural variations, there are severe differences in access to basic sanitation across the globe. Universal access to adequate sanitation is a fundamental need and human right. Click through the tool below to learn more. Toiletiquette by Mascha Bandow and Nicolai Roloff is licensed under a Creative Commons Attribution-ShareAlike 4.0 International License. Time for a knowledge check! See how much you have learned and try out the water quantity and quality quiz. 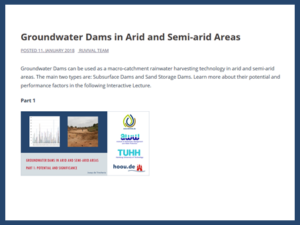 Did you learn enough about groundwater, surface water and rainwater measurement as well as water quality determination so far? You can return to the Quiz at any time, in case you are not feeling like an expert yet. All answers to the quiz questions can be found within the Toolbox element, so make sure to check out the rest of the material for more information! Good luck! Water Quantity and Quality Quiz by Birthe Hohm and Ruth Schaldach is licensed under a Creative Commons Attribution-ShareAlike 4.0 International License. Ever wondered how much rain is falling at your place? 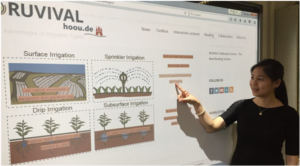 Then you should learn more about measuring rainfall to estimate your rainwater harvesting potential with this e-learning tool. We will provide you with a rain gauge construction manual. This gives you the opportunity to measure your rainfall without using much equipment. Everybody can help to keep an eye on our planets water resources and you can start. Have a look by yourself and try out your first tests. Measuring Rainfall by Birthe Hohm and Ruth Schaldach is licensed under a Creative Commons Attribution-ShareAlike 4.0 International License. Rainwater is an important water resource by naturally irrigating plants and recharging water sheds. 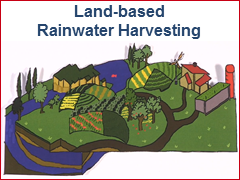 Rainfall is collected by rainwater harvesting (also see: traditional and land-based rainwater harvesting), stored and later used. Thus, knowledge on the speed of recharge is important in order to know how fast you can use your stored water resources. Additionally, rainfall is changing with the seasons in frequency and intensity. You can calculate with this Rainwater Collection Calculator based on your data the yearly collection potentials, which helps to plan your storage devices. As dryer a region is as more important it is to collect and store in these seldom peak times, which makes an exact planing even more important. Consequently, observing the rainfall is one of the first steps for sustainable usage practices. Ever wondered how the water quality of your water resource is? 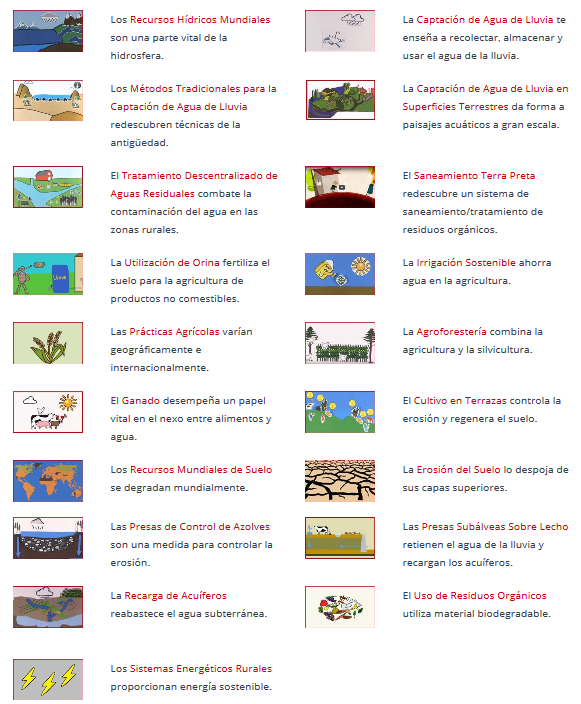 Then you should learn more about the condition of your water sources with this e-learning tool. We will provide you with some techniques, which do not need much equipment. This gives you already an idea on your water body’s condition. Everybody can help to keep an eye on our planets water resources. However, for more precise measurements we need more elaborate methods. 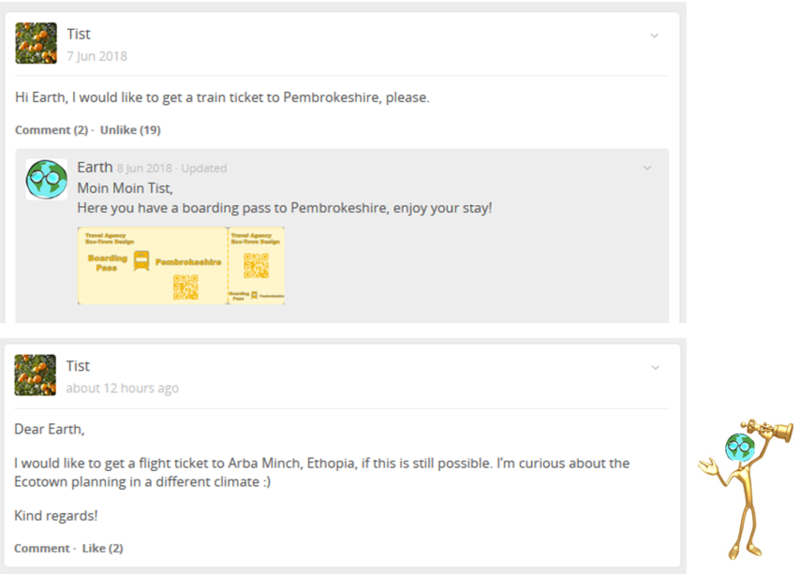 Have a look by yourself and try out your first tests. Water Condition Analysis Guide by Birthe Hohm and Ruth Schaldach is licensed under a Creative Commons Attribution-ShareAlike 4.0 International License. Water condition analysis is the first step to check on the quality of a water body. It describes the biological, chemical and physical state of water and tells you how healthy a water resource is. A good water quality and good water health is important for the ecosystem, thus checking on the water condition is an important step for sustainable water usage practices and once implemented to monitor these. However it is also very important for your personal health and well-being. It follows a simple logic: You can only stay healthy, if you use good quality water for drinking water supply and irrigation systems. Agriculture and urbanisation draw heavy on the worlds water resources and unsustainable practices show more and more their signs. Already, several rivers and lakes are polluted and even groundwater resource are not protected from getting increasingly polluted any more. However, everybody is in the responsibility to avoid pollution and to treat your environment responsible. All water resources are part of the hydrosphere and thus connected with each other, which leads to an easy spread of pollution from one water resource to another. Due to this importance several methods for measuring water quality developed over time. For a precise determination of water quality, a complex set of measurements are needed like Measuring Groundwater Quantities, Measuring Surface Water Quantities and Measuring Rainfall Frequency and Intensity, but for a first idea only few parameters are sufficient. 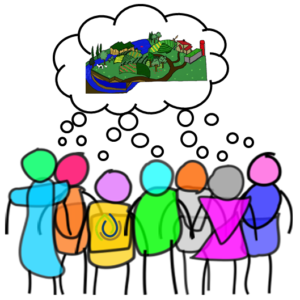 Ever wondered how much surface water is in rivers, lakes, channels and reservoirs around you? 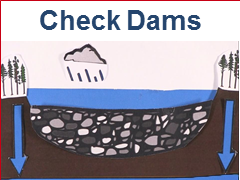 Then you should learn more about measuring surface water with this e-learning tool. We will provide you with some measuring techniques, which do not need much equipment. This gives you already a good idea on your surrounding surface water status. Everybody can help to keep an eye on our planets water resources. However, for more precise measurements you will need more elaborate methods. Have a look by yourself and try out your first tests. Measuring Surface Water by Birthe Hohm and Ruth Schaldach is licensed under a Creative Commons Attribution-ShareAlike 4.0 International License. Surface water is an important water source not only for recreational purposes. Rivers, Lakes and channels are the most easily accessible water sources, which are naturally widely spread over the planet. Surface water is part of the hydrosphere and thus depends on recharge and discharge even without human beings starting to influence these processes. Thus, surface water quantification is the first step for developing sustainable water usage practices and once implemented to monitor these. Firstly, if you know the recharge speed of your system, you can set discharge limits. Secondly, surface water bodies should never dry out under a limit, which makes it very important to never use too much. A functioning aquatic ecosystems needs a minimum flow level to survive. 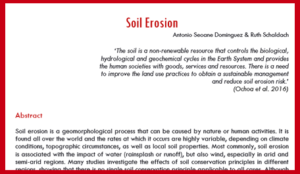 However, surface water is more exposed as underground water and, therefore, more vulnerable to climatic conditions like high evaporation rates in times of drought. Additionally, this water source is also most affected by pollution as it is easy accessible and exposed. 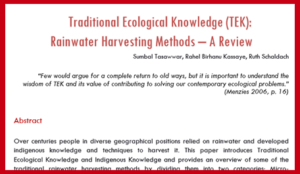 The agricultural revolution, industrialisation and urbanisation draw heavy on surface water resources, especially in regions without an implemented waste water treatment infrastructure. As dryer the region is as more vulnerable is your system and more important it is to know your surface water bodies exactly. Therefore, measuring and mapping your water quantities gives you important directions for sustainable usage practices. Ever wondered how much groundwater is under your feet? 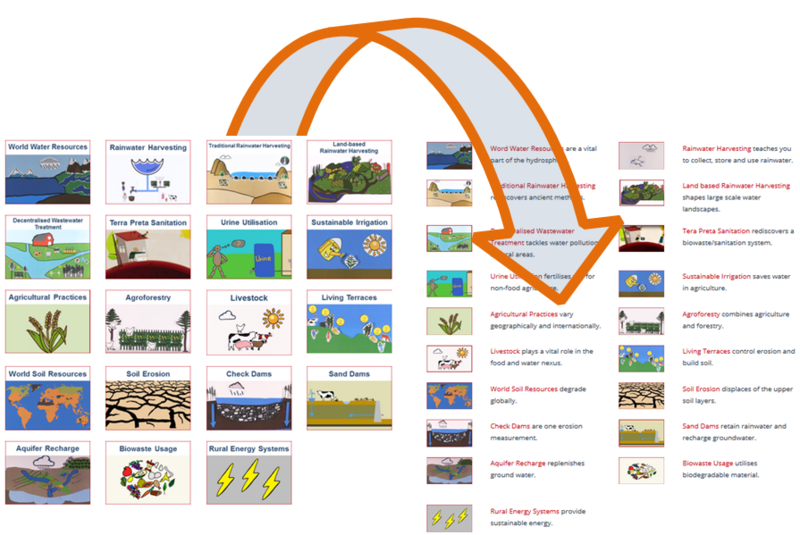 Then you should learn more about measuring groundwater with this e-learning tool. We will provide you with some techniques, which do not need much equipment to give you already an idea on your groundwater. Everybody can help to keep an eye on our planets water resources. However, for more precise measurements more elaborate methods are needed. Have a look by yourself and try out your first tests. 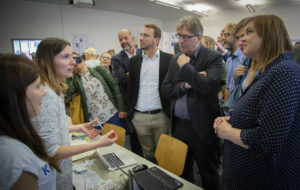 Measuring Groundwater by Birthe Hohm and Ruth Schaldach is licensed under a Creative Commons Attribution-ShareAlike 4.0 International License. Groundwater quantification is also the first step for developing sustainable water usage practices and once implemented to monitor these. It follows a simple logic: You need to know how much water is there, before you know how much can be used. You need to know how fast your system gets recharged to know how fast you can use your water reservoirs without harming your storage system. Storage systems should never dry out completely, which makes it very important to never pump your groundwater too fast to the surface and use too much. Measuring and mapping your water gives you therefore important directions. As dryer the region is as more vulnerable is your system and more important it is to know your groundwater exactly. Due to this importance several methods for measuring groundwater developed over time. However, quantification of groundwater is difficult due to many hydrological and environmental aspects that must be considered. Groundwater resources are part of the hydrosphere and thus depend on groundwater recharge and discharge even without human beings starting to influence this processes. 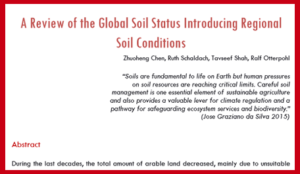 However, agriculture and urbanisation draw heavy on groundwater resources and unsustainable practices show more and more their signs and some underground storage systems starting to dry out. 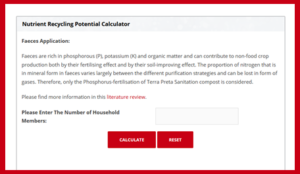 The following calculator provides the user with the opportunity to estimate the potential fertilisation area, if faeces and urine from a household are applied. The recommended integrated decentralised wastewater system would use this fertilisation potential for non-food plants and long term soil enrichment. Faeces are rich in phosphorous (P), potassium (K) and organic matter and can contribute to non-food crop production both by their fertilising effect and by their soil-improving effect. The proportion of nitrogen that is in mineral form in faeces varies largely between the different purification strategies and can be lost in form of gases. Therefore, only the Phosphorus-fertilisation of Terra Preta Sanitation compost is considered. 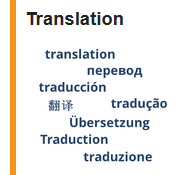 Please find more information in this literature review. Urine contains four important nutrients for plant growth: nitrogen (N), phosphorus (P), potassium (K) and sulphur (S). The direct application of nutrient-rich sanitised urine to the soil for non-food crops provide the opportunity to recover the nutrients and also reduce the use of fertilisers. The urine application calculator tool developed by RUVIVAL calculates the potential urine fertilisation area of a household based on the yearly production of urine. More information about urine application can be found here. According to Jönsson et al. (2004), the potential yearly amount of nitrogen and phosphorus in faeces per person in Sweden is 550 g/(a·person) of nitrogen and 183 g/(a·person) of phosphorus. The yearly amount of nitrogen and phosphorus in faeces per household is calculated from the potential yearly amount of nitrogen and phosphorus in faeces per person multiplied by the number of household members. According to research done in Tanzania by Krause et al. (2015), total phosphorus in TPS compost is found to be 3.6 times the total phosphorus in faeces compost. The yearly faeces fertilisation area of TPS compost per household is calculated from the potential yearly fertilisation area of faeces per person (900 m2 for phosphorus) multiplied by the number of household members. The yearly organic content supply area of TPS compost per Household is calculated from the potential yearly organic content supply area of TPS compost per person (4.5m2 /(a·person)) multiplied by the number of household members. This calculator takes as a reference point the research done by Jönsson et al. (2004), the amount and nutritional value of faeces and urine are based on the data of the Swedish population. It is important to note that amount and nutritional values of faeces and urine are subjected to variation in different regions of the world and are highly dependent on the nutrient uptake and diet of the population. The nutritional value of wastewater streams improves the quality of the urine and faeces to be used as fertilisers for non-food crops. 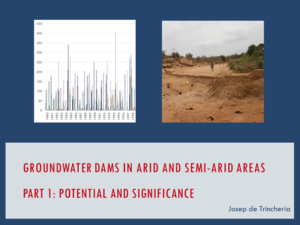 Therefore, the provided results should only be considered as a reference point when referring to the potential for nutrients recycling in integrated decentralised wastewater treatment. The values used in this calculation tool are based on the following studies. 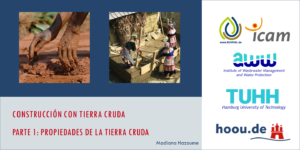 Jönsson, H, Richert, A, Vinneraas, B & Salomon, E 2004, Guidelines on the use of urine and faeces in crop production, EcoSanRes Publication Series, 2nd edn, Stockholm Environment Institute, Stockholm, Sweden. 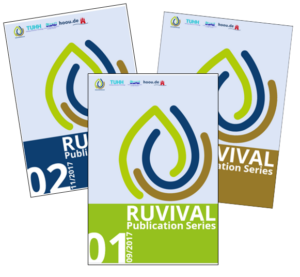 Krause, A, Kaupenjohann, M, George, E & Koeppel, J 2015, ‘Nutrient recycling from sanitation and energy systems to the agroecosystem- Ecological research on case studies in Karagwe, Tanzania’, African Journal of Agricultural Research, vol. 10, no. 43, pp. 4039–5. 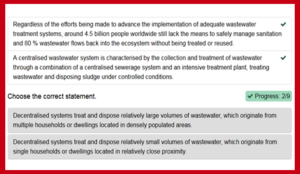 Nutrient Recycling Potential Calculator for Households Using Integrated Decentralised Wastewater Treatment Systems by Usama Khalid and Ruth Schaldach is licensed under a Creative Commons Attribution-ShareAlike 4.0 International License. 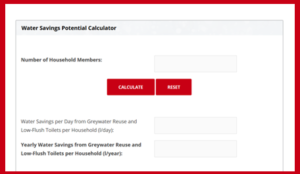 The following calculator tool provides the opportunity to estimate water savings for a household through reuse of the greywater, using the recommended integrated decentralised wastewater system. 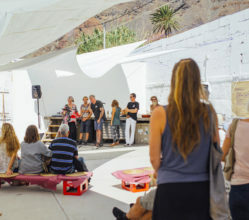 Separately collected, a less concentrated greywater stream could serve as an alternative irrigation water and flushing water source after minor on-site processing. 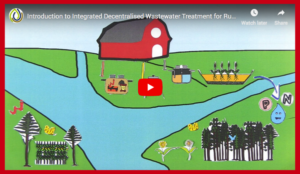 For more information on recommended decentralised wastewater system and its proper management, please have a look at further materials provided here. 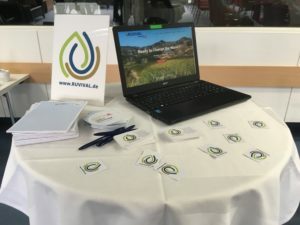 According to Friedler (2004), greywater reuse could decrease the water demand of a household by 48 % and lead to water savings of up to 70 litres per person per day. The yearly water savings from greywater reuse and low-flush toilets per household (l/year) is calculated from the potential daily water savings from greywater reuse and low-flush toilets per person (48 % of daily water use i.e. 70 l/day) multiplied by the number of household members and 365 days. The value of average daily water use per person is taken to be 146 l/day per person, however, the value is subjected to variation for different regions of the world. 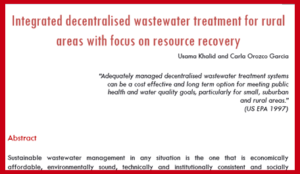 The provided results should be considered just as a reference point when referring to the potential for water reuse in integrated decentralised wastewater treatment. Friedler, E 2004, ‘Quality of individual domestic greywater streams and its implication for on-site treatment and reuse possibilities’, Environmental Technology, vol. 25 no. 9, pp.997-1008. Water Saving Potential Calculator for Households Using Decentralised Wastewater Treatment Systems by Usama Khalid and Ruth Schaldach is licensed under a Creative Commons Attribution-ShareAlike 4.0 International License. Rural households often have to rely on decentralised systems for their wastewater treatment and sanitation needs. 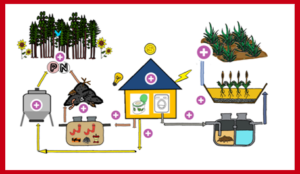 The following image gives an overview of a recommended integrated decentralised wastewater treatment system for a rural household. The system is based on the concept of ecological sanitation, involving separation of brown, grey and yellow water through source control schemes. It focuses on the extraction of nutrients from brown and yellow water. 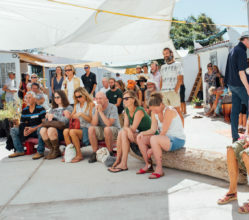 The reuse of greywater for non-potable purposes is also integrated in order to help to close nutrient and water cycles. 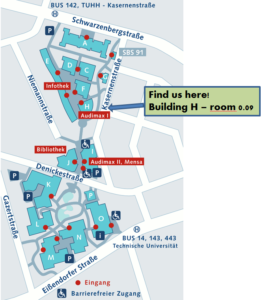 Please click on the hotspots in the image for more information. 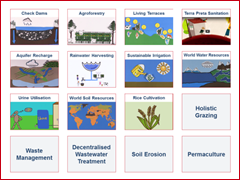 Recommended Integrated Decentralised Wastewater Treatment System for a Rural Household by Usama Khalid and Ruth Schaldach is licensed under a Creative Commons Attribution-ShareAlike 4.0 International License. 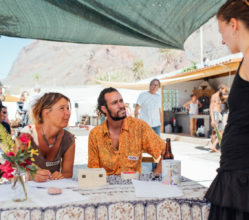 It may not seem right on a first glance to raise animals in permaculture systems. However, when done on a correct scale, raising animals on a small piece of land can offer balance and sustained fertility, with improved quality of the food products. Animals eat from pastures, as well as from waste products from the land, while at the same time offering fertility and numerous food products for us humans. 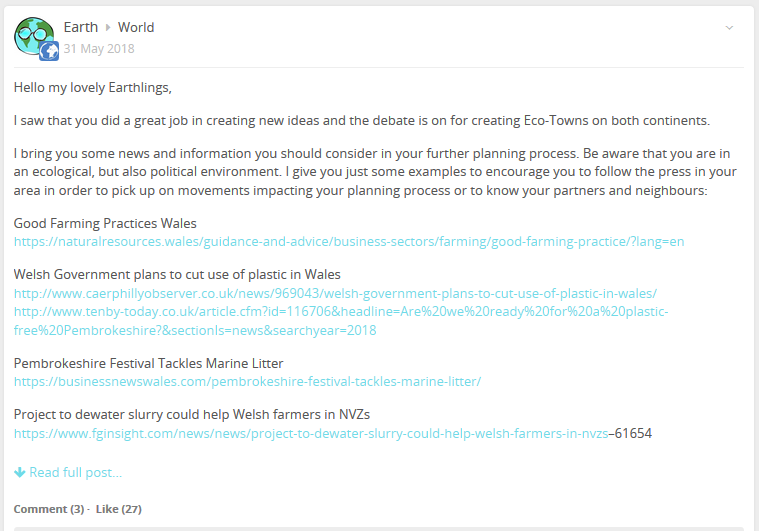 Check your knowledge of the potential role animals can have in permaculture in the quiz below! 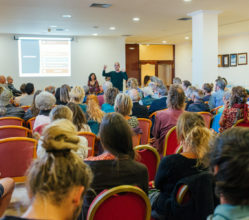 Animals in Permaculture Quiz by Robin Kulpa and Richa Rajoriya is licensed under a Creative Commons Attribution-ShareAlike 4.0 International License. Conventional livestock production has severe impacts on the environment, which affect its every medium. 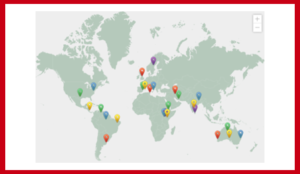 Click on the hotspots below to learn more about these impacts! 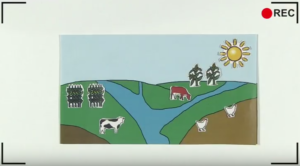 Keep in mind that this image is meant as symbolic, in order to draw direct connections between livestock and the environmental medium at hand. In reality, animals in conventional farming systems are usually raised in confinment, in so called animal feeding operations (AFO) or confined animal feeding operations (CAFO). Not only does this way of keeping animals affect the environment, but it also has severe negative imacts on animal livelihood. Environmental Impact of Livestock by Nina Wandel is licensed under a Creative Commons Attribution-ShareAlike 4.0 International License. How much do you know about decentralised wastewater treatment? Take our quiz and put your knowledge to test in just a few minutes! If you are having any trouble, remember that all answers to quiz questions can be found throughout this Toolbox element. Good luck! 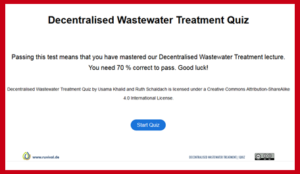 Decentralised Wastewater Treatment Quiz by Usama Khalid is licensed under a Creative Commons Attribution-ShareAlike 4.0 International License. Time for a knowledge check! Take this Biowaste Usage Quiz and see how much you have learned about this topic so far. You can return to the Quiz at any time, in case you are not feeling like an expert yet. All answers to quiz questions can be found within the Toolbox element, so make sure to check out the rest of the material for more information! Good luck! Biowaste Usage Quiz by Manasa Suresh is licensed under a Creative Commons Attribution-ShareAlike 4.0 International License. 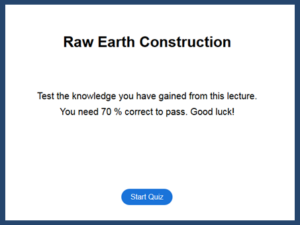 This quiz marks the end of the Raw Earth Construction lecture by Madiana Hazoume. Test how much you have learned in this lecture by taking the quiz below. You will need 70 % to pass. You can always go back to the lectures, if you need to refresh your knowledge. Good luck! 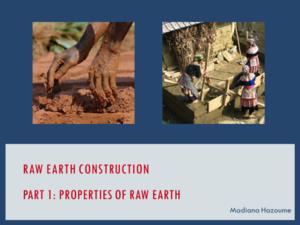 Raw Earth Construction Quiz by Madiana Hazoume is licensed under a Creative Commons Attribution-ShareAlike 4.0 International License. Done with the quiz? 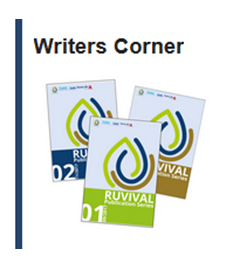 Continue learning with RUVIVAL and be part of reviving the rural! 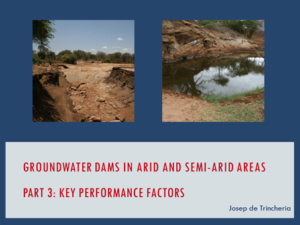 Groundwater Dams in Arid and Semi-arid Areas Quiz by Josep de Trincheria is licensed under a Creative Commons Attribution-ShareAlike 4.0 International License. How to know if earth is appropriate for construction? Which techniques should be used for what kind of earth? 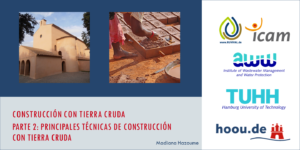 What are the main techniques used for raw earth construction in the world? What are the best practice examples? Who are the famous architects and constructors with raw earth? 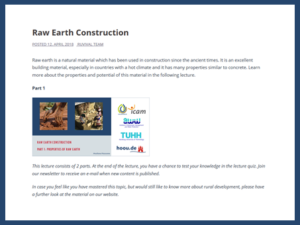 Therefore, you learn to determine if raw earth is an appropriate construction material for your construction site. Furthermore, you are able to choose the appropriate technique for different types of raw earth. After you finish this part, you can take the lecture quiz and test your knowledge. 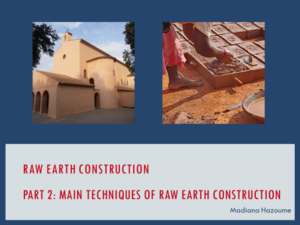 Raw Earth Construction, Part 2: Main Techniques of Raw Earth Construction by Madiana Hazoume is licensed under a Creative Commons Attribution-ShareAlike 4.0 International License. What is siltation and why does it matter? How can siltation be minimised? 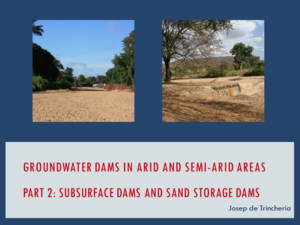 How can silted up sand storage dams be restored and rehabilitated? 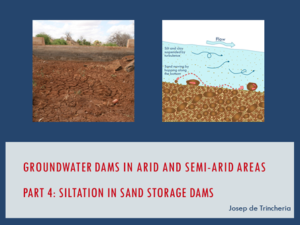 Therefore, this lecture provides an insight into why it is important to address the issue of siltation in sand storage dams and provides recommendations based on practice. At the end of this lecture, you can test your knowledge in the lecture quiz.